Last year, the Mail on Sunday reported that abusive comments on the Kensington Palace site about Meghan had remained up for days and included allegations she bleached her skin to look whiter, while others called her "tacky" and "trashy". The social networking company has a team dedicated to helping high profile Instagram followers cope with issues such as these, and particularly around the monitoring of unpleasant and abusive comments. 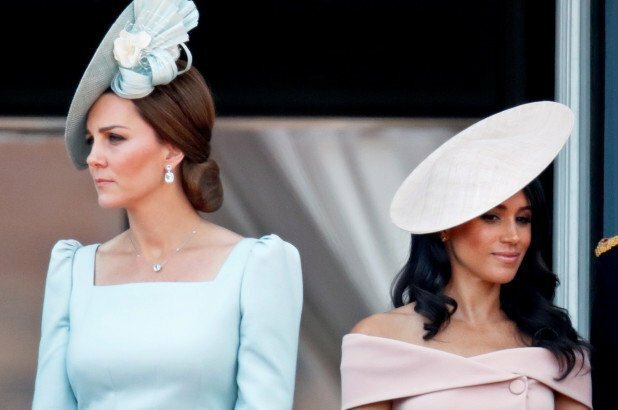 There have been rumours in recent months that Meghan and Catherine have been feuding, with the alleged feud starting when Catherine was reportedly left in tears after the fitting for Princess Charlotte's bridesmaid dress ahead of the Royal wedding. "The palace always monitored comments but it's a hugely time-consuming thing". Apparently, the cars used by the Duchess and the Duke have self-locking doors. A royal source told HELLO! : "They can block certain words, but some of it is quite serious". "Over the course of past year, with hundreds of thousands of comments, there were two or three that were violent threats", the source continued. "It's creating a supercharged atmosphere". The Duchess of Sussex, an American actress who married Prince Harry in May, is pregnant with their first child, and some on social media and in the press have taken to criticizing her for cradling her "baby bump" during public engagements. The Times newspaper reported Tuesday in an editorial called "Vile Abuse" that numerous comments made about Meghan and Kate are "too vicious to publish here and there have even been threats of violence". As a responsible title, we have decided that enough is enough. HELLO! is now urging readers to spread the #HelloToKindness message across social media and take a stand against online abuse. Only material that is outright abusive or threatening is removed - the view of aides is that comments that are critical of the royals should be allowed to remain. "There's a wider narrative in the media pitting them against each other, and unfortunately people are piling in and taking sides", Emily Nash, Royal Editor at Hello!, told CNN. He said: "Some of this has been very public - the smear on the front page of a national newspaper; the racial undertones of comments pieces; and the outright sexism and racism of social media trolls and web article comments". But the Duke of Cambridge has complained that numerous big social media firms have proved unwilling to do enough about online abuse. On Monday morning, January 28, firefighters responded to a call on the Upper East Side that mentioned a person was stuck inside. City records show the elevator was inspected multiple times, but it's not clear when the last inspection was conducted.